These are the colors of Grid Hotfix which have been produced so far. 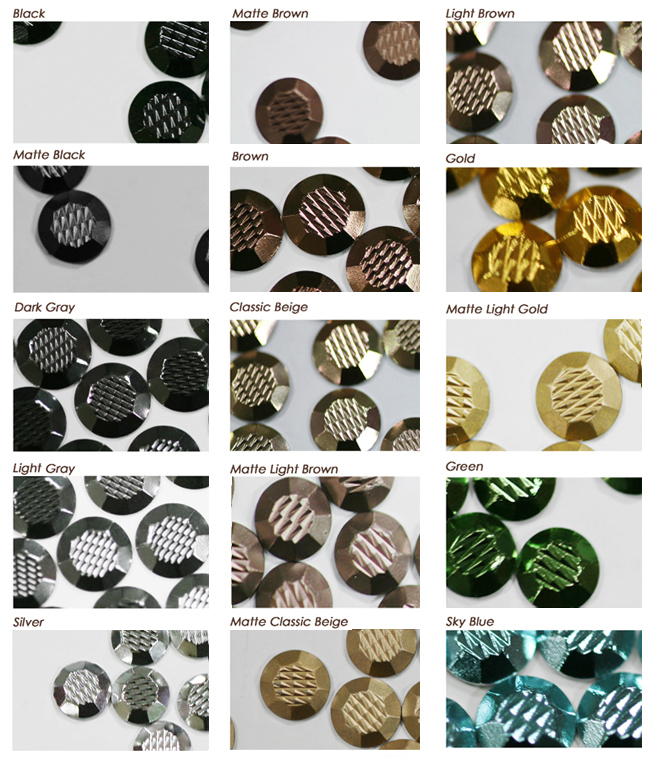 Please refer to Rhinestud since the actual colors are the same as those of rhinestud. Various colors of Grid Hotfix will be produced soon, feel free to contact us if you need some color.